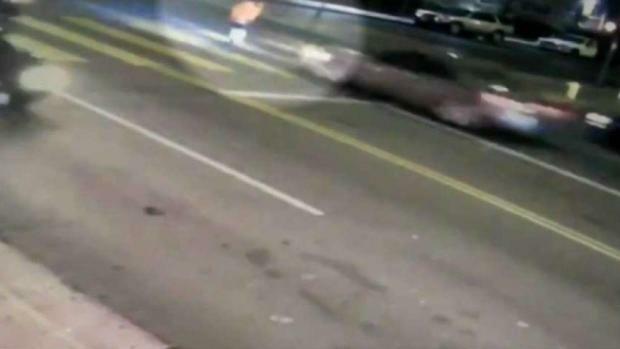 Los Angeles police are asking for the hit-and-run driver who struck and critically injured a man in Westlake Saturday night to come turn themselves in. The victim, in his 50s, was crossing the street in a marked crosswalk, but against the signal at 3rd and Witmer streets when he was struck. He could be seen dodging cars before he was struck, around 10:20 p.m.
Surveillance video from a nearby 7-Eleven shows the driver speeding away from the intersection. Shacktty Hernandez was working at her family's taco truck nearby when she heard the crash. "It was just like a big bump. Like a crash, like someone actually got hit, you know?" she recalled. "But I think he should have stopped to at least take a look and see what he could do." 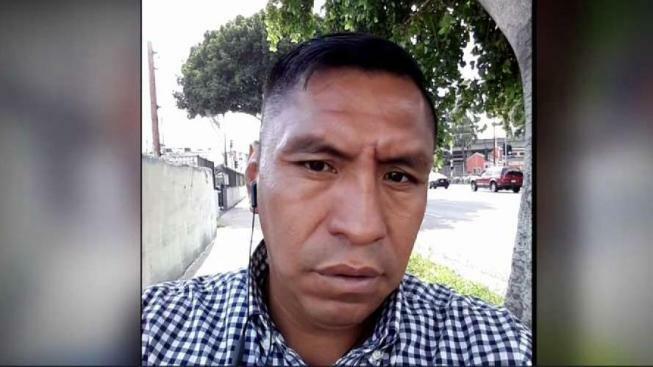 Detective Moses Castillo said the victim has major head trauma. He did not have an ID on him at the time of the crash, so he was not identified and family located until Sunday. "I know you had the green light," Castillo said, referencing the driver. "You were probably scared, you probably freaked out, didn't know what to do. But if you do the right thing, come forward." "You're probably stressing about what's next. Why live like that? Just give us a call, tell us what happened and we'll resolve it."